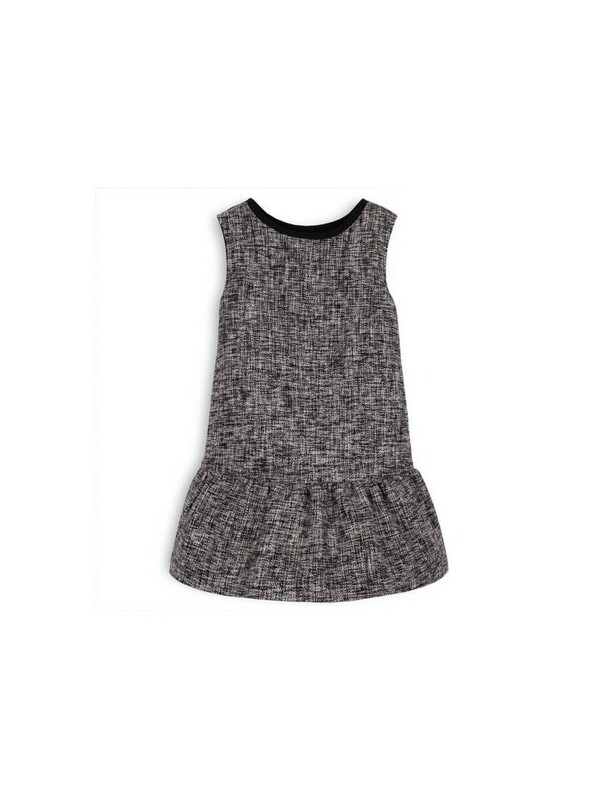 Sleeveless black tweed dress by Troizenfants. This very elegant chasuble dress gives her an irresistible Parisian look! Cotton percale lining. Straight cut. Flounce on the hem. Round neckline with buttons in the back.